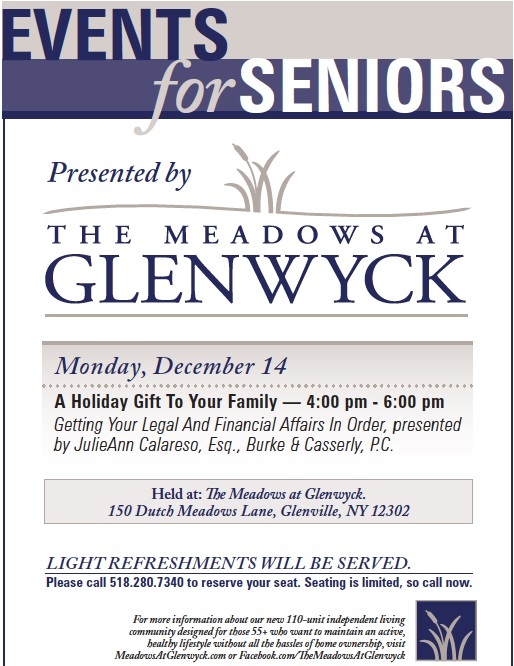 Just opened this summer, the independent living facility of the Meadows at Glenwyck hosted JulieAnn as a guest speaker on December 14th to address "A Holiday Gift to Your Family: Getting Your Affairs in Order." JulieAnn discussed with residents and invited guests the need for planning for lifetime as well as planning for the distribution of wealth after death. Click here to view flyer.